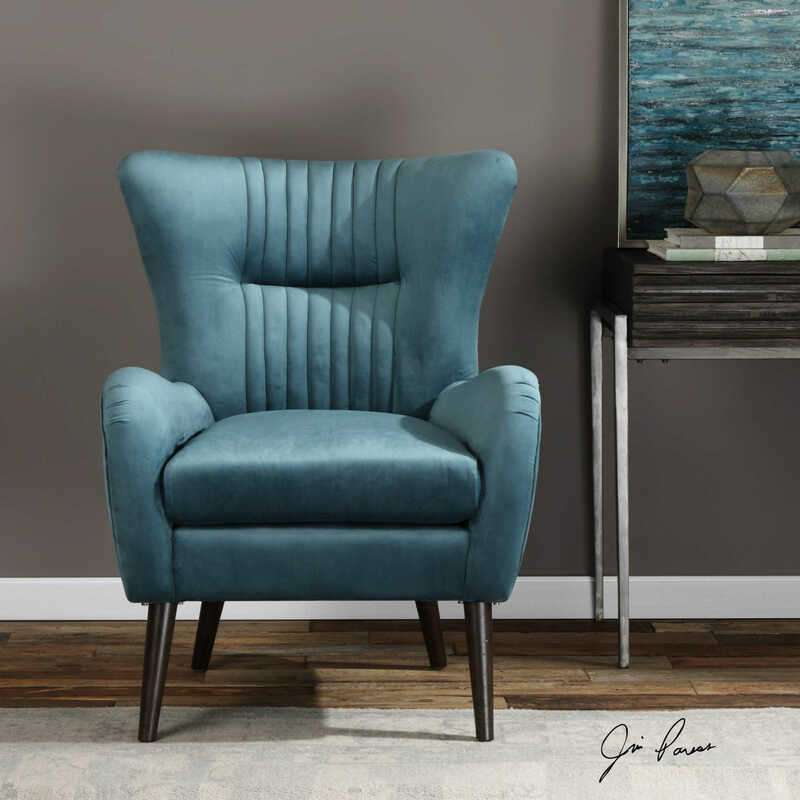 Add a fresh jewel toned touch to your space with this mid-century styled accent chair featuring a flare black and channel tufted accents. 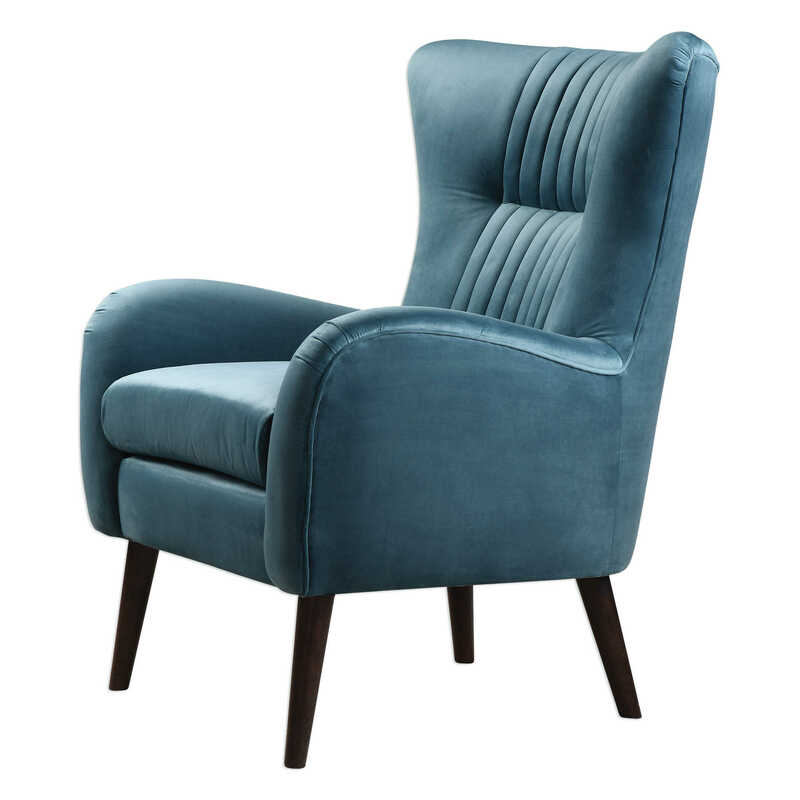 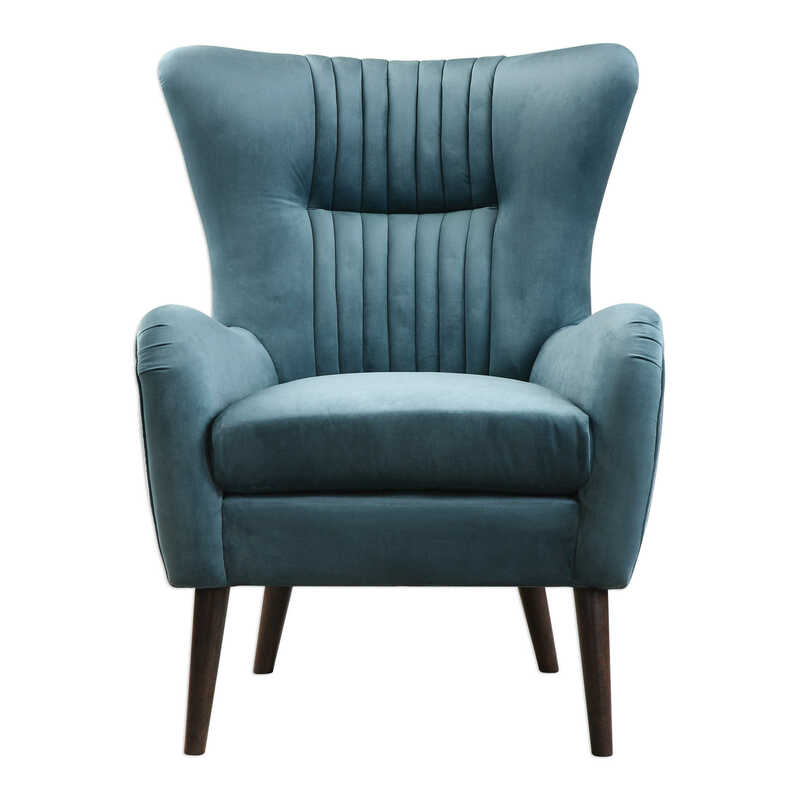 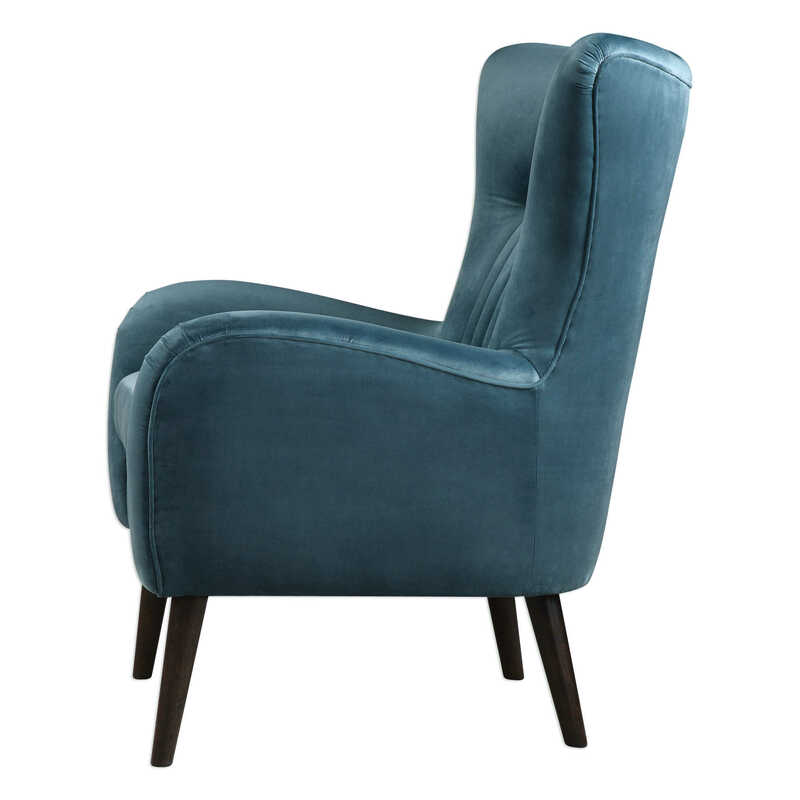 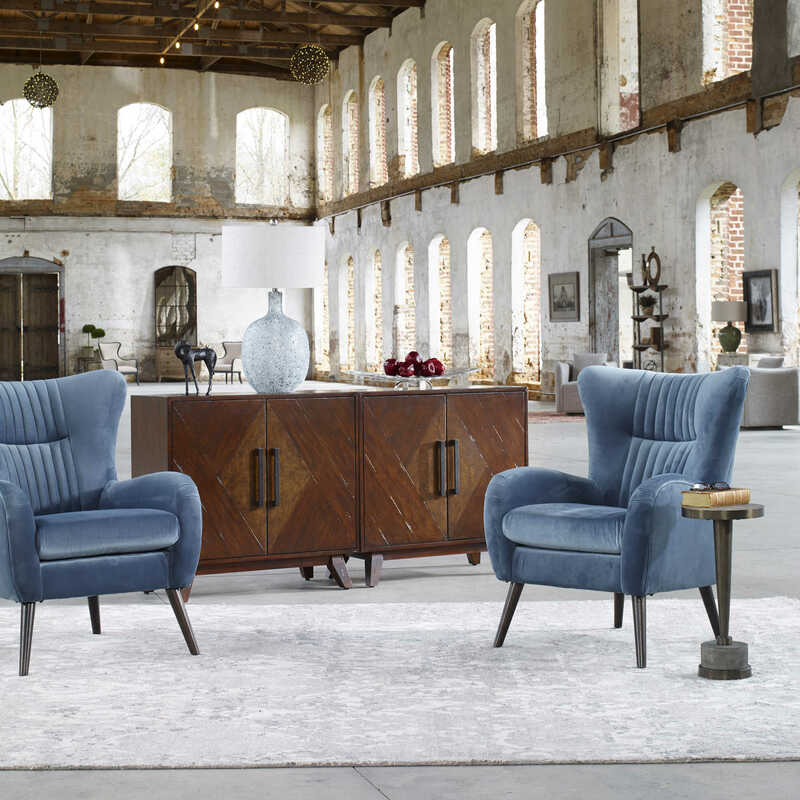 Its on-trend teal blue polyester velvet is finished with a welt trim, on tapered birch legs stained in a rich espresso. 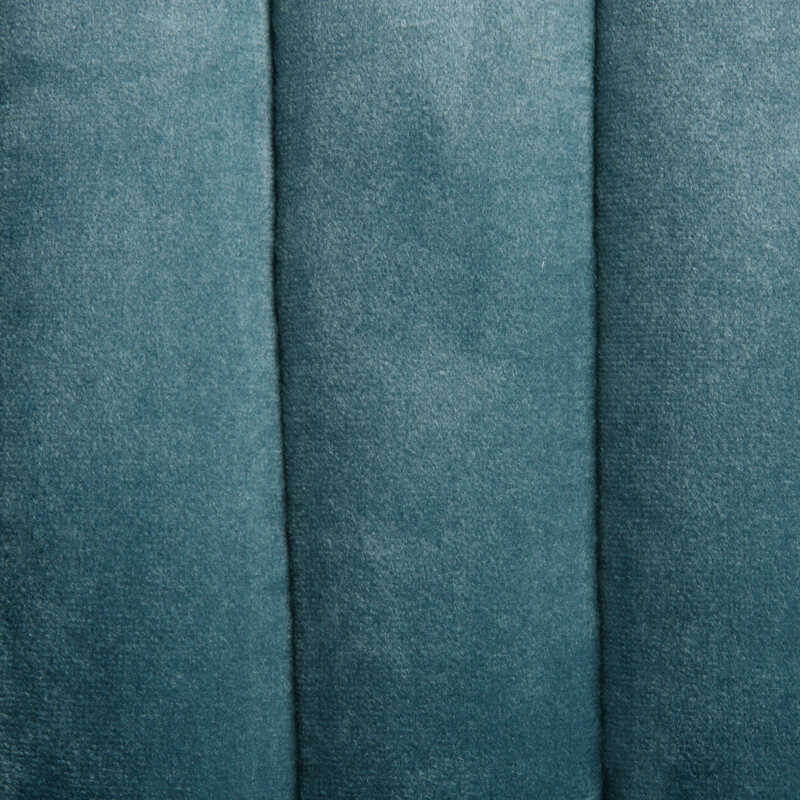 Seat height is 20".